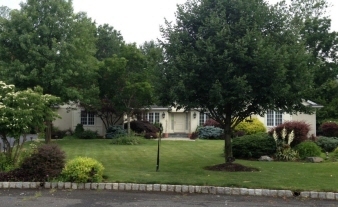 Description: Exceptional Custom Luxury Sprawling Ranch located on the south side of Scotch Plains. This spectacular 14-room residence, rests beautifully on over a half acre of privately nestled land, creating the epitome of sophistication and tranquility. Each room possesses classically inspired elegance and charm .This special home combines all the amenities for a refined lifestyle, including a gourmet kitchen w/custom cabinetry & large center island, formal living room & dining room, large family room w/ vaulted ceiling & french doors leading to screened in porch, master bedroom suite w/spa like master bath & walk in closets w/ custom built-ins, two additional bedrooms, powder room and full finished basement w/guest suite, full bath, den, office and so much more! Click Media For Tour & Floor Plans.